Team meetings are essential for communicating effectively, fostering teamwork, and producing results. However, global teams face numerous challenges: managing time zones, navigating cultural, communication, and work style differences, a lack of face-to-face interactions, and more. These challenges can lead to miscommunication, missed deadlines, and frustration. 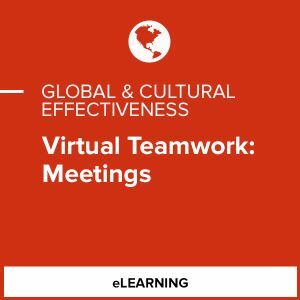 The Virtual Teamwork: Meetings Learning Path highlights the common challenges faced when working and meeting virtually with global colleagues, and provides strategies for improving interactions. 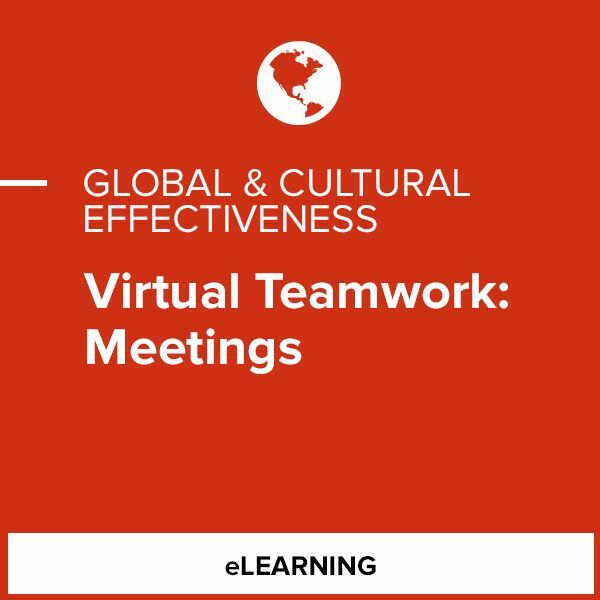 Learn how to avoid the common mistakes made by global teams, and examine best practices to plan, facilitate, participate in, and close productive virtual meetings. This product is good for individuals at all levels of organizations.